Get Automated Reports About Your Business. you can focus on making decisions. We build custom business reports from start to finish with our own infrastructure. This means that we get your data first via API. We have ready-to-go API connectors for the following systems: Google Analytics, Google Ads, Google Search Console, Bing, Facebook, Outbrain, Criteo, Youtube, Adjust, Apple Search, and CallRail. If we currently don’t have a connector for a system of your choice, we’ll code it at our cost – for example custom CRM solutions. We can also build custom web crawlers to scrape Amazon or information on your website as well. Once we have the data ready, we clean it and store it in Google BigQuery. 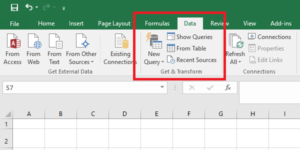 Once the data is in BigQuery, we build visual reports on the top of it using Power BI, Google Data Studio or simply in Google Sheets – your choice. And the best part? All the data will be stored under your BigQuery account so you can query it with SQL and export it any time. How to Upload Multiple Sheets from Google Sheets to Big Query? Download Our FREE Google BigQuery Uploader for Google Sheets Add-On!